Consumers have a growing interest in cheeses with a sense of history and tradition – and that’s turning them away from processed cheeses and toward products unique to a single region or even a single farmstead. Natural, organic, artisan and local cheeses, as well as cheeses made from blends of milk, are all part of this trend, according to What's In Store 2008, the annual trends report from the International Dairy-Deli-Bakery Assn. (IDDBA), Madison, Wis. While the annual report focuses much of the spotlight on block cheeses sold at retail, the trends and consumption data hold lessons for all food processors who use or are considering cheese as an ingredient in packaged foods. Many package descriptors -- organic, antibiotic-free, prime cuts – are considered attractions for shoppers; imagine what “includes cheese from small Wisconsin dairy farms” could do. Between 2001 and 2006, sales of natural cheeses increased 10 percent after adjusting for inflation, according to Mintel Intl. At the same time, interest in processed cheeses has declined 9.1 percent. Specialty cheese sales at supermarkets that gross $2 million or more a year rose 8.6 percent in the year ending March 24, 2007, according to The Nielsen Co. Locally produced cheeses are gaining importance as cheese marketing begins to mirror long-standing practices in the wine industry. Consumers love cheeses that cut down on kitchen prep time. Manufacturers have responded by introducing a number of cheese products that cater to convenience, including shredded cheeses that come pre-seasoned. Sales of grated and crumbled cheese, string and stick cheese, cubed cheese and natural cheese slices continue their substantial annual growth — as much as 17 percent in some cases. Italian cheeses are the most popular of ethnic cheeses in the U.S. — so popular that U.S. production of Italian cheeses surpassed that of American natural cheeses for the first time in 2006. Italian cheeses accounted for almost 4 billion of the 9.5 billion lbs. of cheese produced in 2006. 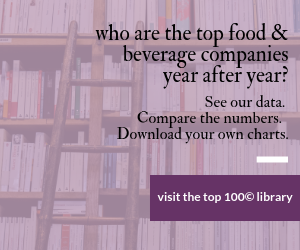 A large share of that volume was consumed in restaurants and other foodservice establishments. Latin American and Spanish cheeses are no longer a niche market, as an increasing number of non-Hispanic consumers incorporate them into their cooking. Half of the top 10 fastest growing specialty cheeses at retail are Hispanic varieties. For years, researchers have been working on ways to expand the health benefits of cheese by infusing it with probiotics, beneficial bacteria that aid digestion. Kraft’s LiveActive cheese sticks and cubes debuted in the U.S. in September 2007, making them the first probiotic cheeses in North America with national distribution. That followed the spring 2007 release of Kraft’s LiveActive cottage cheese under the Breakstone and Knudsen labels, as well as Dean Foods’ probiotic cottage cheese under the Dean's, Country Fresh and Land O'Lakes labels. As people get a larger share of their daily calories from snacking, they're looking for alternatives to chips and cookies. According to Mintel, two-thirds of consumers like the convenience of natural cheese snacks in single-serving packages. Many people who are trying to eat more healthful snacks see cheese as a sensible, protein- and calcium-rich option. Dieters eat more cheese on average than non-dieters. Per capita cheese consumption reached 32.3 lbs. in 2007 and is likely to continue climbing over the next decade. Some ambitious projections put 2013 per capita cheese consumption at 42 lbs., while more conservative estimates predict only a minor increase to 33 lbs. The highest rates of cheese consumption occur among suburban families and couples and larger, well-to-do urban families. People with household incomes of $100,000 or more have a much greater interest than others in specialty cheese, as do people who frequently visit supermarket delis, specialty grocers or full-service restaurants. Cheese consumption drops among the 65-and-older set. Cheese enjoys a high household-penetration rate across ethnic and racial groups, with Asian Americans being the only group with penetration substantially lower than the average -- but still high at 83 percent. What's In Store 2008 details consumer and industry trends affecting the dairy case, cheese case, bakery, and deli/foodservice departments. But its 149 tables also are of interest to all food processors using cheese. The full report is available for $99 for IDDBA members and $399 for non-members. See www.iddba.org or call 608-310-5000.